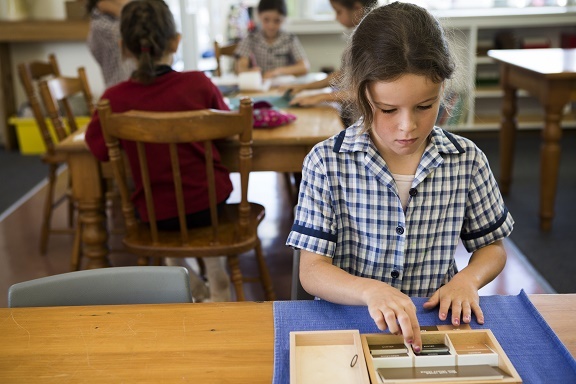 The Mahurangi Montessori Primary Trust (MMPT) was established in 2007, by a motivated group of parents with a vision to continue their children’s Montessori preschool education within the local state primary school. The Montessori unit – known within the school as “Room 15” – opened in 2009 with a founding class of 11 pupils. Thanks to the hard work and passion of our teachers, together with the support of parents, the wider school and the Board of Trustees, Room 15 has continued to grow. It now comprises two fully-equipped adjoining classrooms, for children in years 1 to 6. Room 15 has two full time teachers, with a lead teacher qualified with an Association Montessori Internationale (AMI) 6-12 Diploma. Matakana Primary School has a current role of around 320 children. It is a rural school that benefits from a tremendous community spirit and parents are actively involved in the school’s programme. Much enthusiasm and many fundraising endeavours have enabled the school to develop additional facilities such as an IT information centre, all-weather fitness track and adventure playground. 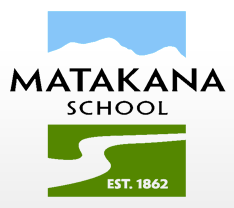 Room 15 is fully integrated into Matakana Primary School whilst preserving the key elements of Montessori education. The class achieves the three-hour work cycle most mornings and joins in with school-wide activities where appropriate in the afternoon. The students have access to the facilities and resources of the wider school and participate in cultural, sporting or field trip activities. The class itself is well-equipped with specialised learning resources and provides an atmosphere of calm and harmony. This facilitates a supportive, respectful environment where children can learn at their own pace. The children are encouraged to develop independence and initiative whilst being responsible for themselves and their surroundings. Parent information evenings or social events are held most terms. We actively welcome and rely on parental support and input from our Montessori community. For a child to be considered for the class a completed enrolment form must be received. At around age 4 ½ an interview between the parents/caregivers, the child and the enrolment committee will take place, for both parties to explore expectations and suitability. Upon acceptance of a place, parents will be asked for a bond payment of $800 to secure the child’s place in the unit. Please refer to our website (http://www.montessori-matakana.co.nz) for further information, application criteria and enrolment schedules. Enrolment packs are also available to download. Please note, children must be eligible to attend state-funded education in New Zealand. Number of classes: two fully-equipped adjoining classrooms for children in years 1 to 6.